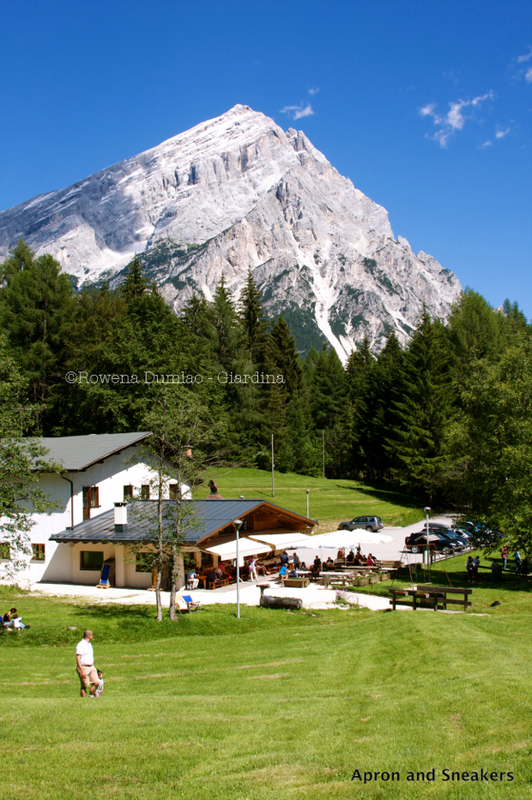 I have spent most of the initial weeks of my summers at the Dolomite mountains the past thirteen years, precisely right when I plopped down my life-long belongings on Italian soil when I officially moved here. My husband is so in love with the place that he had to take me immediately to the only place in the world where he feels what life is all about. 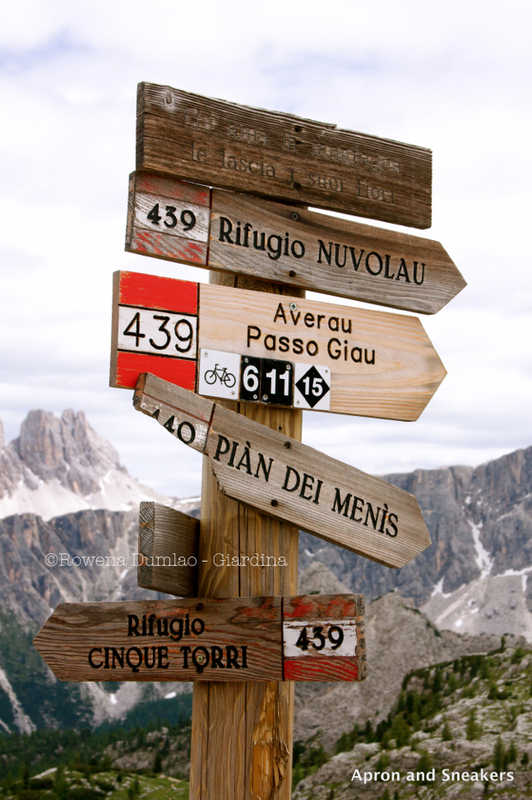 It's all about the Dolomites. I shared his love and eventually, our dog and two kids found themselves their niches too. 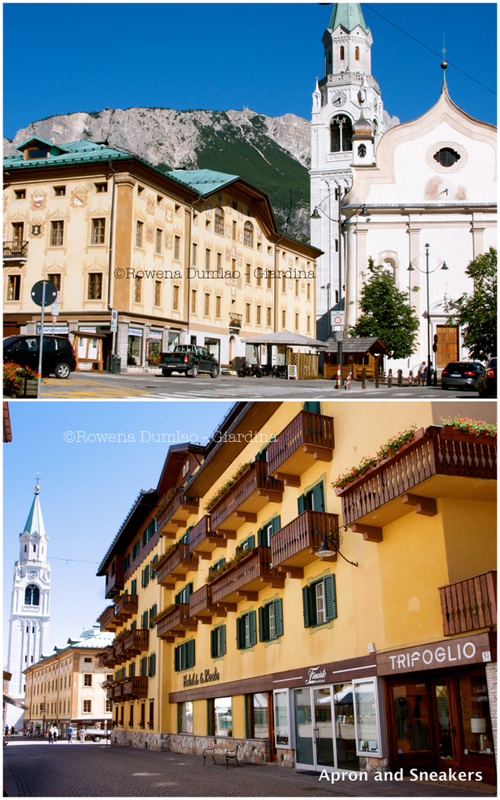 If the first thing I eat at the Dolomites as soon as we set foot on the mountains is goulash with polenta and my son an impressive stinco di maiale (ham hocks) (my daughter still doesn't have a favorite plate), my husband's first take of mountain food is a good plate of polenta con formaggio fuso e funghi (polenta with melted local cheese and sauteed mushrooms). 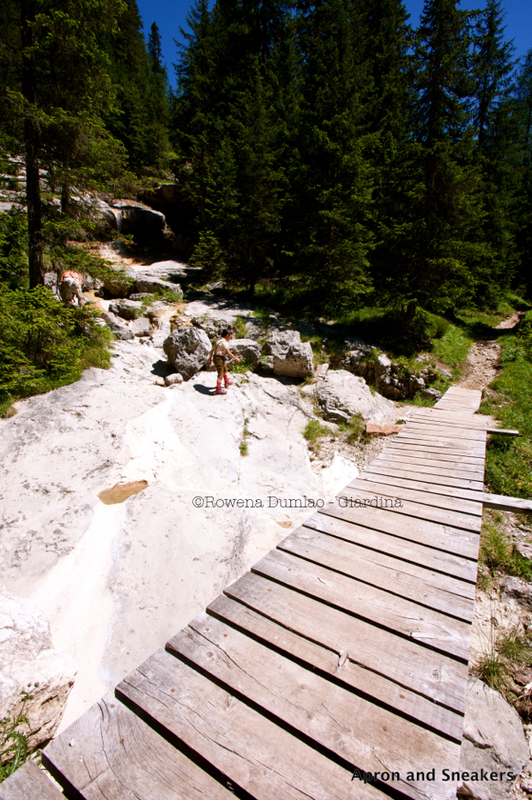 I have been cooking a lot of polenta and meat lately that are reminiscent of our favorite food at the mountains. 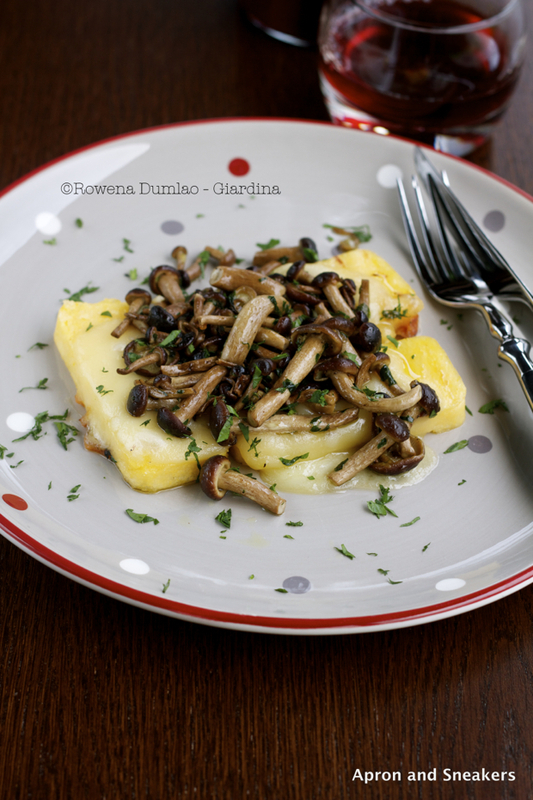 I thought that before I conclude my polenta series for now, I would make my husband's favorite plate. It's actually very simple to do. 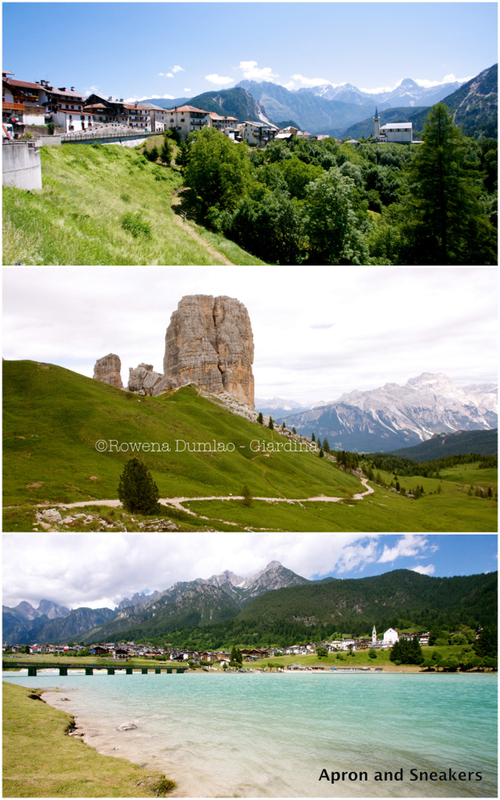 Let me share with you some more pictures of the Dolomites from the past summers we had. I have already shared a lot of pictures of these mountains in the past posts but there are just too many to share. I keep on seeing new ones in my archive that I find interesting. I hope you enjoy them. On polenta. There are different kinds of polenta. 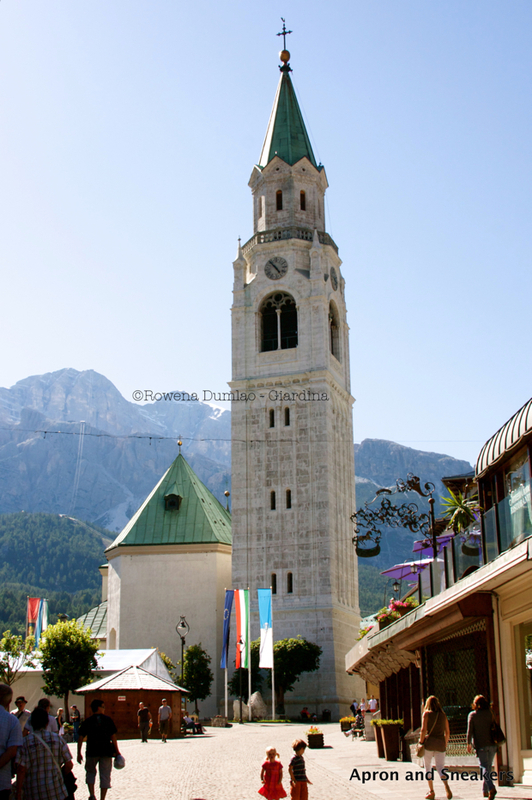 The one I like using is farina gialla per polenta (yellow flour for polenta) from the Dolomites that is not pre-cooked so it takes around 40 minutes or more to cook. The amount of water and salt also differs so please check your packaging on the suggested amount. If, however, you find the pre-cooked polenta bricks ready to be warmed up and eaten, you can also use them. Just slice to the desired thickness then grill. They are actually surprisingly good. Clean mushrooms by cutting the ends with attached dirt. Put them in a colander and pass it under the tap very quickly (make sure that they don't get too wet), ruffling the contents with your hands to get rid of the dirt fast. Dry with kitchen paper towel. Prepare the polenta by boiling water in a big pot, preferably copper. When it's just about to boil, add salt then slowly add the polenta by pouring it slowly in the water. While pouring the polenta, stir with a wooden spoon. Keep on doing this until you finish the polenta. Cook and keep on stirring for 40 minutes or follow the cooking time written in the instructions of the package of the polenta that you are using. Transfer polenta in a rectangular baking pan with a thickness of about 2 cm. or about 3/4 of an inch (You don't need to be precise.). Let it cool completely for about an hour. Slice polenta to squares and grill them on a griddle. Be careful in handling them so that they don't break. Cook one side until crunchy. 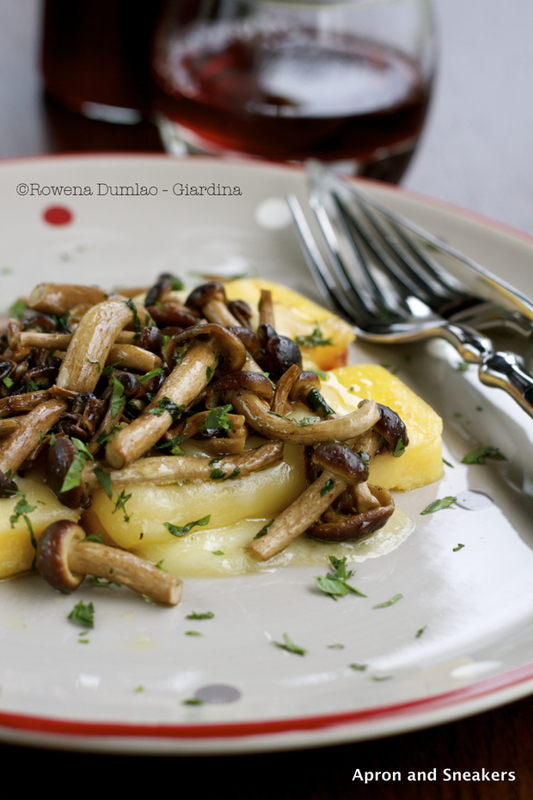 Meanwhile, while grilling the polenta, prepare the mushrooms. Sauté mushrooms in a saucepan with extra virgin olive oil. Toss on medium fire for about 10 minutes or until cooked through. Add garlic and cook until they start to color. Add a knob of butter, tossing to coat mushrooms. Season with salt & pepper and sprinkle with parsley. Cover and keep warm. Go back to the polenta and turn them to cook the other side. When you see that the polenta slices are almost cooked, distribute the sliced cheese on top. 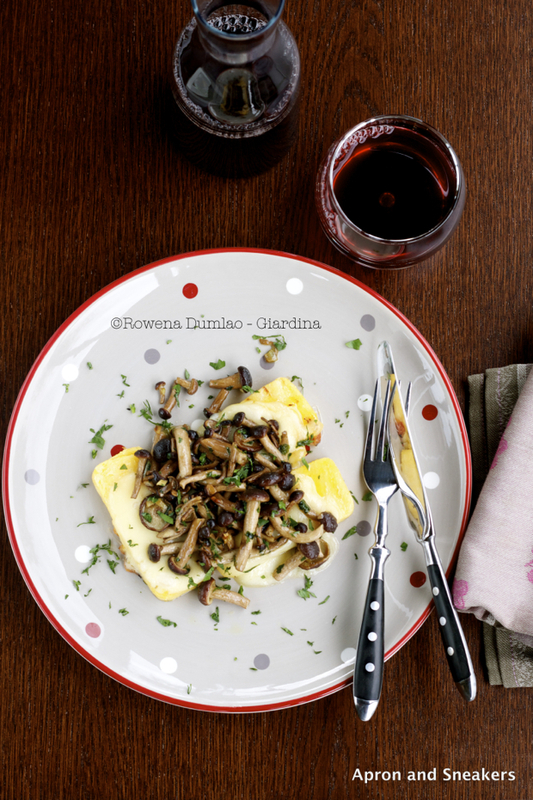 When the cheese has completely melted, serve immediately with the mushrooms on the side or on the top of the polenta.